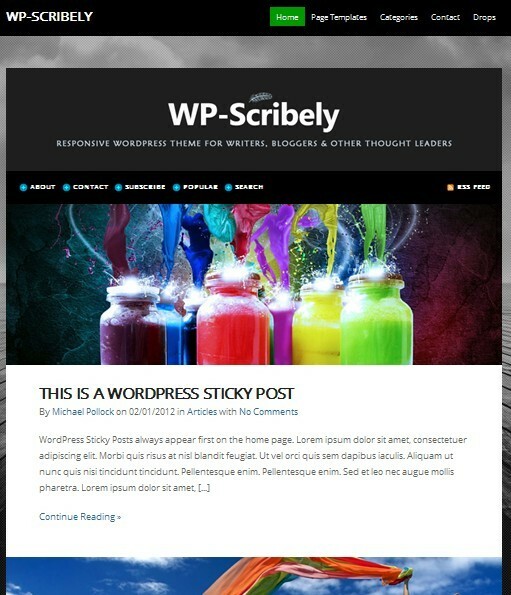 Solostream recently published a couple of updates to WP-Scribely Premium WordPress Theme, and version 1.0.2 is now available for download in the Solostream members area. 1. The first change was merely a bugfix that affected the Blog page template when using a static home page. 2. The second item that we changed was the Sliding Panels shown at the top of the page. Thanks to feedback from our initial user base, we added another Sliding Panel that's widgetized. This will make it even easier to add content to this particular area of your site. Download the latest version after you login here. Is Wp-Scribely The Future of Web Design? users has been unlike any of our past theme releases. One user went so far as to suggest that it represents the future of web design. I don't know if that's true or not, but it was certainly nice to hear such glowing feedback.